PCC stocks through-hole resistors and capacitors that you can order by description! Many customers have asked "What is a Capacitor?" or "What is a Resistor?". The unconventional answer is that these electronic component parts are the staples of the electronics industry. Capacitors and resistors are used on nearly every electronic end product produced by OEMs and CMs (EMS Providers) use. While independent distributors often focus on buying and selling higher dollar component parts, these commodity products offer an unique opportunity to build relationship with OEMs and CMs when traditional sources of supply can not meet industry demand. PCC would like to be your capacitor and resistor supplier. PCC sells all types of capacitors including ceramic, film, and electrolytic capacitors. We offer capacitors with axial and radial leads for thru hole applications as well as SMD capacitors for your surface mount requirements. We specialize in thin film resistors, thick film and cermet resistors, as well as carbon composition resistors. We offer resistors with axial leads for thru hole applications as well as SMD resistors for your surface mount requirements. Capacitors and resistors can be purchased from PCC on the original component manufacturers tape in full reels, partial reels, or cut tape. In addition, for customers who prefer full reels capacitors and resistors are now available on PCC Reels™. 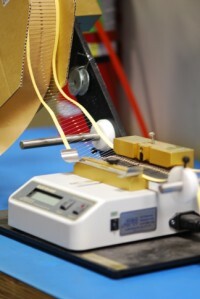 PCC Reels are full reels made by combining cut tape from our inventory. 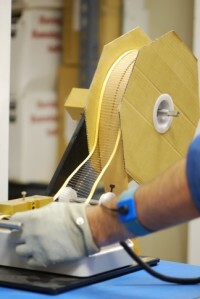 Each reel may include one or more professional splice and your satisfaction is always guaranteed. Our goal is to do what we need to do to get your business. Please excuse us in that this page is not yet fully functional and feel free to call or email our staff with your requirements. We are in the process of launching online ordering and this page will be fully functional at that time. Our sales philosophy is that ordering these parts should be fast and easy, and that prices should be substantially lower than franchise suppliers. Please try our website and let us know what you think.